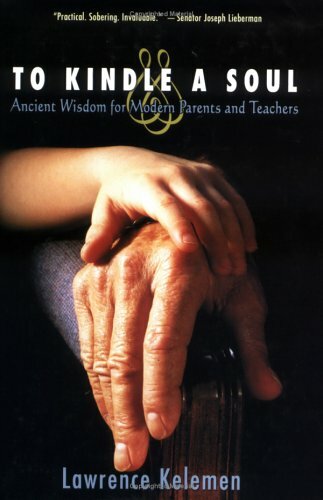 Expert Review of To Kindle a Soul: Ancient Wisdom for Modern Parents and Teachers by Lawrence Kelemen, one of our picks of the top Jewish books for kids! Increasingly, forward-looking scientists and psychologists researching issues of childrearing are finding themselves looking...backwards! After years of failed experiments in education, it is the Torah's eternal wisdom that is proving itself the most effective, most humane, and most sensible way of teaching our children. In this fascinating, extensively-researched, and beautifully written work, Rabbi Kelemen, best-selling author, world-renowned lecturer, and acclaimed teacher, sets out a wonderfully practical Torah-based model for raising ethical, moral, and well-adjusted children, backing up his insights with over 400 scientific studies. This book is must reading for parents, both observant and non-observant alike.